Landing in Dublin airport, pick up your car and travel to the south-side of Dublin City centre to the 5* Shelbourne Hotel, where you will be staying for the next two days. This charming hotel has been an important part of Dublin life for nearly 200 years and exudes old world charm, with an understated and refined elegance. Located in the heart of Dublin City’s south-side just across the road from the St. Stephens Green Public Park, you are ideally located close to several great attractions, shops, restaurants, pubs, clubs and transport links! See how this vibrant, vivacious and engaging city has inspired musicians, writers, poets and lovers alike for centuries and fall in love with this Fair City as you stroll her city streets and celebrate your romance in Dublin’s capital! Dublin was founded in 988 by the enterprising and marauding Vikings, yet there were earlier settlements prior to their arrival dating from pre-historic times. The Vikings were swiftly followed by the Normans and then the English who all left their indelible mark on the city and whose influence may still be seen today in Dublin’s streetscape, street names and architecture. To get a historical, political and social overview of Dublin’s fascinating and often tumultuous history, take a guided bus tour where you will also get a feel of Dublin and an opportunity to gather your bearings. The Hop-On-Hop-Off tour is a great option for you to not only enjoy a guided tour of the city, but also an opportunity to catch a ride to and from several great attractions dotted around Dublin – simply hop on and hop off as you wish! So what to visit?! Start with one of Dublin’s most popular attractions and Ireland’s oldest university Trinity College. Founded in 1592 by Queen Elizabeth I of England it is often ranked among the world’s best universities with famous alumni including Jonathan Swift, Oscar Wilde, Samuel Beckett and Mary McAleese to name but a few. Walk its hallowed grounds and soak up the electric student atmosphere before ducking into the Old Library where the 9th century illuminated manuscript of the Book of Kells is held. This beautifully decorated gospel manuscript is a sight to behold – dazzling and intricate this encapsulates the magic and skill of the Golden Age of Irish history which ran from the 6th to the 9th centuries and which produced such treasures as the Ardagh Chalice and the Tara Brooch – both on display in the National Museum – just a five minute walk from Trinity and certainly worth a visit too as well! What visit to Dublin would be complete without a stop at the Guinness Storehouse – famous home of the “black stuff”. Take an exciting tour around their visitor centre and top if off with the wonderful view at the top of the Gravity Bar, and a cool creamy Guinness in hand. Enjoy the 360 degree view of the city and see if you can perhaps name some of the sights! Or perhaps whiskey is more your tipple of choice? Why not visit the Jameson Distillery just across the river on Dublin’s north-side. Again take a guided tour enjoy a taster of this famous brand and sip the taste of Ireland! Heaven! Close to the Guinness Storehouse are two magnificent cathedrals – both within a minutes’ walk of each other. Christ Church Cathedral is located just beside the first Viking settlement of Dublin and has some 1,000 years of history in its very foundations. The first structure built on the site has long gone but the current structure dates to 1172, with several renovations undertaken down through the centuries. The crypt which dates from 1188 is the oldest part of the cathedral and today houses a museum and café. View the tomb of Strongbow – responsible for the development of the 12th century incarnation of the cathedral and more importantly who helped to herald the coming of English rule into Ireland. A beautiful building with exquisite architectural gems, it will leave a lasting impression. Down the road from Christchurch is St. Patrick’s Cathedral whose present edifice dates from 1220. The cathedral is the largest in Ireland and is the National Cathedral of the Church of Ireland (a church of the Anglian communion). Like Christchurch it is a much loved and popular attraction and had been visited by Oliver Cromwell, William of Orange and Queen Victoria of England, along with millions of people from across the world. Amongst those interred in her walls are Jonathan Swift (author of Gulliver’s Travels) and once Dean of the cathedral. Atmospheric and haunting, beautiful and intriguing – this is one not to be missed! Perhaps you would like to indulge in a spot of retail therapy and perhaps pick up a little memento of your time in Dublin? Mosey on back towards your hotel which is conveniently located within a minutes’ walk to Grafton Street – Dublin city centre’s premier shopping street and with a plethora of shops such as the Brown Thomas Department Store, Tommy Hilfiger and Boodles to test you’re your endurance and wallet! Just off Grafton Street is the Powerscourt Townhouse a wonderful example of Georgian architecture and now converted into a trendy shopping centre. Note some of the original features, browse its eclectic boutiques and people watch in one of its cafes! Don’t forget to pose with Molly Malone, located at the bottom of Grafton Street! Why don’t you pop into Whitefriar’s Street Carmelite Church where by quirk of fate, lay the bones of St. Valentine. According to legend, Valentine went against the orders of a Roman general who had forbidden soldiers to marry. In direct defiance of the general, he wed numerous couples in secret as he believed that forbidding people to marry went against God’s wishes. Where better to rejoice in your happy union than by paying homage to a man who valued love and marriage so highly…. On one of your afternoons in Dublin, indulge in some Afternoon Tea with Champagne in the Shelbourne Hotel – snaffle some of the delights and dainty delacies as you enjoy the charms of yesteryear in the Lord Mayors Lounge. In the evenings, wander down to Temple Bar, a rejuvenated and revived area, with lots of pubs and restaurants for your perusal. Thai, Italian, Indian and even Persian restaurants all compete to tempt your appetite. After a sumptuous dinner, find one of the many pubs in the area and snuggle up together, discussing all that you have seen! If you don’t want to whisper sweet nothings to each other all night why not catch a traditional music session and head out tripping the light fantastic in anyone of Temple Bar’s nightclubs?! Or perhaps you would like to enjoy a quiet meal for two away from buzzy Temple Bar? La Cave, located on South Anne Street (just of Grafton Street and close to your hotel) is a cosy French Wine Bar. With a wide range of wine to suit everyone’s palate and pocket, enjoy the ambience and romance of this intimate venue. Want to experience some Arabian Nights or as close as you can in the heart of Dublin then wander off to Dada on William Street South – an authentic Moroccan restaurant. Step into a different world as you enjoy their sumptuous offerings and perhaps indulge in a belly dance or a puff of the hookah! After two exciting days in Dublin, you will move on and gradually wind your way down to Ireland’s south and west regions before returning once again to Dublin for your final night. From one capital to another Kilkenny – the medieval capital of Ireland and just 90 minutes from Dublin. Step back in time as you walk her winding streets and alleys and see how little this city has changed over the centuries. The presence of Kilkenny Castle dominates the city and is really a great place to start your Kilkenny adventure. Built in the early 1200’s and remodelled in 1830 a castle has stood on this site for some 9 centuries – a testament to the both the power and the influence of her residents. 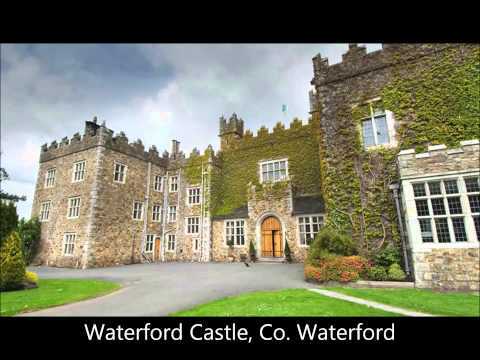 A visit takes around an hour (including a short audio – visual presentation) but it is a popular attraction, so do allow time to fully enjoy and appreciate this amazing castle – one of the best of its kind in Ireland. Within the grounds of the castle stands the Kilkenny Design Centre with a wide array of Irish handcrafted products from a number of Irish craftspeople and designers such as Oral Kiely, Waterford Crystal and Newbridge Silverware, not to mention several local producers and such goods as jewellery, home-wares and clothing - it will certainly be difficult to resist temptation! If perhaps you would like to mix your history with some ale then the Smithwick’s Brewery Tour is the one for you. This Irish red ale has been brewed by the Smithwick family in Kilkenny since 1710 and a tour will take your around the site, including a visit to the St. Francis Abbey which dates from the 12th century – certainly a unique sight to see a brewery built around an old abbey. Perhaps that is why the Smithwick’s ale tastes so heavenly! Next visit St. Canice’s Cathedral and Round Tower, founded in the 6th century and named after St. Canice, after whom Kilkenny was named. The cathedral is a Norman structure, but the round tower, is the city’s oldest and dates from the 9th century. One of only two round towers in Ireland where you can climb (the other being St. Brigid’s Round Tower in County Kildare) ascend its 121 steps (weather permitting) and enjoy sweeping views of Kilkenny city. Tired of the walking – take a spin with the Kilkenny Tourist Train which takes you on 25 minute tour of the city, complete with running commentary and a jaunt around the city passing by the castle, cathedral and Kytler’s Pub once owned by Alice Kytler – Kilkenny’s famous witch! Perhaps you can pop back later to enjoy dinner there and maybe catch some live music. In the evening, enjoy a romantic dinner in your hotel (the 4* River Court) with its restaurant’s pretty views of the river, or meander down into the city and enjoy dinner in any of the numerous eateries. Enjoy Kilkenny’s hospitality while you can as tomorrow, you are moving on – southwards to Cork City and all that awaits you there! Leaving Kilkenny behind, take in the glorious greens of Ireland as you make the journey to Cork City less than 2 hours away. Your time in Cork will be spent in the resplendent 5* Hayfield Manor, just on the edge of the city and only a short stroll to its various attractions. This is Ireland’s second capital and an energetic and dynamic city. The area was first settled by St. Finbarr in the 7th century and derives its name from the Irish word for marsh – corach. As the settlement grew into a city, many bridges and roads traversed the River Lee on which the modern city now stands. Today, however, it is almost impossible to imagine that the centre of Cork city is actually built on several small islands. The city itself offers much in the way of history, heritage, attractions, eateries and entertainment options from pubs and clubs to cinemas and theatres – not to mention the ready availably of live music from traditional Irish to modern contemporary. It is also close to Blarney Castle with its famous gift of the gab, Cobh – the last town the Titanic docked at and the Midelton Distillery for a wonderful whiskey tour if you missed the tour in Dublin. So where to start? Depending on your time frame, why not take your first day in Cork as a city visit and then Day 2 as an opportunity to explore the attractions Cork’s environs? In the city, head to the Shandon Bells – one of Cork’s most revered attractions - so named because of their location on the north-side of the city in the Shandon area. The bells are in St. Anne’s Church which dates from 1722 (in its current form) however a religious connection to the site dates from the 6th century. Cast in Glouchester in 1750, and recast twice since then, most recently in 1908, there are 8 bells in total with a combined weight of some 6 tonnes. Each bell has its own description, such as this particularly charming one “When us you ring we’ll sweetly sing”. Climb the clock tower to enjoy a great view of the city. Next visit the lively and energetic English Market situated in the very heart of the city and founded in 1788 by the English, Protestant elite of the city. Initially only known as “The Market”, it became the English Market when in 1840, several Irish Roman Catholic merchants set up a similar market nearby which came to be called the “Irish Market” and so the earlier market to differentiate between the two, was hence forth called the English Market. There is a great hustle and bustle to the Market, with numerous traders both well established and up and coming selling everything from meat to t-shirts, fruit and vegetables to novelty gifts. The imposing castle like structure of Cork City Gaol is a must see for any visitor to Cork. Back in the 19th Century, this building acted as a prison and through a unique exhibition experience, visitors can peer into the past and see what life was like in Cork from both sides of the prison walls. Also within the confines of the Cork City Gaol is the Radio Museum – home to an impressive collection of archived reels from Ireland’s national broadcaster as well as a restored 6CK Radio Broadcasting Studio. Next leave the city behind and travel to Cobh, approximately 30 minutes away. Cobh is a picturesque village, synonymous for its brightly coloured rows of houses. It is one of the world’s largest natural harbours and enjoys year round water-sports. However, it has been the association with the Titanic which has really marked Cobh out, as it was the last port the fateful ship left from on her final journey. Cobh has long been a popular and busy maritime town, and emigrant ships would have been a common sight particularly between the years 1848 and 1950 where some 2.5 million people left from Cork for Canada or the United States. In the same period, a total of 6 million men, women and children departed from the entire island of Ireland – an astonishing figure. Visit the Cobh Heritage Centre which holds artefacts and letters from emigrants and also photographs from the Titanic taken by a local priest Father Brown. There is also a genealogy centre on-site, so if you think that perhaps one of your ancestors may have left from Cobh, do make a visit to the centre! A note-worthy tip! Make sure you have a name, approximate age and year of departure so that your search will go in a little easier, faster and ultimately more successful! Leaving Cobh behind you, make your way to Blarney Castle and the famous Blarney Stone just over 35 minutes away! Most people say that once you have a drop of Irish in you, you don’t need any more Blarney – but we say can you ever have enough?! There are many variations as to how the stone was endowed with “the gift of the gab”, but all agree that once you kiss it, you will receive that unique gift and be talking for ever more! So practice those yoga moves, limber up and pucker those lips as you get up and personal with the Blarney Stone! Don’t forget to save one special kiss for your beloved though! The castle itself, which was built nearly 600 years ago by Cormac Mac Carthy – one of Ireland’s greatest chieftains and is home to a whole array of attractions that will really give you something to talk about with your new found gift of the gab. The Wising Steps, The Battlement View, Badgers Cave and Rock Close are just some of the many wonders for you to explore at Blarney. The Blarney Woollen Mills is just down the round from the castle and here you’ll find an impressive stock of quality Irish gifts from Beleek China to Aran Sweaters and Celtic Jewellery that will leave you spoilt for choice if you’re looking to take home your very own piece of Ireland! Kinsale is another great day trip for Cork City and only around 30minutes away. Often referred to as the Gourmet Capital of Ireland be sure and have lunch or dinner in one of its many eateries. Boat trips are available from here where you can enjoy the dazzling beauty of the Cork Coast! Don’t forget that on one evening of your stay in Hayfield, you will enjoy the culinary delights of Hayfield’s Orchid Restaurant – just perfect for a romantic meal for two. With soft lighting and candles getting the ambience just so, and overlooking a private garden – love will most certainly be in the air! Their award winning chef will tickle your taste-buds and ignite your hunger with his array of sumptuous dishes! Tuck in and savour the offerings and………. each other! After an action-packed trip to Cork, you will be moving onto County Kerry. So relish your final hours in this wonderful county, as you move on discovering even more of Ireland’s charms – not to mention, making some precious memories on your Irish honeymoon. Half way through your honeymoon already – romance levels are high, memories are made, and photographs taken – but yet there is still so much to see and do! Moving west from Cork City towards Killarney, conveniently located on the Ring of Kerry and just over 80 minutes away, make your way to the delectable 5* Europe Hotel, overlooking the wonderful Lakes of Killarney. Killarney is a vibrant, busy town and a gateway to much of the glorious scenery and attractions Kerry is so known for. There is a lot to do in Killarney itself, so today, tour these attractions and tomorrow discover more wonders of the Ring of Kerry. What better way to become acquainted with this pretty town than with a romantic Jaunting Car (horse and carriage) Tour around some of Killarney’s attractions such as the Killarney National Park, Deer Parks and Ross Castle situated on the shore of Lough Léin. This imposing 15th century castle has an intriguing history and is a definite picture opportunity! Along the course of the tour, your local and friendly guide will impart their knowledge of the local history, traditions and culture, sharing their passion and fervour for all things Kerry! As part of your Jaunting Car Tour you will pass within the Killarney National Park which holds many treasurers within her boundaries from the McGillycuddy Reeks the highest mountain range in Ireland, to the famous Lakes of Killarney, waterfalls to forests. With numerous walking and hiking trails, bicycle hire and horse-riding on offer – you can tour the park by a variety of means – foot, hoof or tyre! You may want to ask your driver to deposit you in the park so you discover it for yourself?! The Muckross Estate, with a delightfully restored Victorian house dating back to 1843 with a total of 65 rooms may be found there along with their gardens which include a sunken, rock and stream garden and also an Arboretum. If you’re visiting during the months of April to July you can look forward to the riot of colour from the blossoming red and pink Rhododendrons to compliment the already stunning gardens. Right next to Muckross House is Muckross Traditional Farms where you can witness what it was truly like to live and work in a rural community in the 1930’s through the ingenious working recreation on display there. At the end of your first day in Killarney enjoy all the delights that Killarney has to offer in terms of dining and entertainment options as you toast another wonderful day on the Emerald Isle…. And another wonderful day spent together. Day 2 in Killarney and with the wonders of yesterday still lingering in your mind, prepare for even more magic and mystery , as today you will be seeing some of the most amazing scenery in Ireland. The Ring of Kerry (also known as the Iveragh Peninsula) is famed for its stunning views and the number of attractions it possesses. Sit back and let someone else do the driving with a Wild Kerry Group Coach Tour of the Ring of Kerry - allowing you both to fully appreciate the Ring in all its rugged and Technicolor beauty! With tours running all year and a pick up from/drop off to your hotel – just sit back, relax and enjoy the ride! The sheer scale and wonder of the Ring makes it one of the most special places in Ireland. The more you see, the more you will come to understand why this wondrous place has inspired so many lovers down through the ages. The verses of countless love poems and sonnets seem to whisper on the winds as this beautiful region unfolds before your very eyes. Tours of the Ring are generally done in an anti-clockwise direction along the banks of the River Laune to Killorglin, via Glenbeigh, Kells, and Caherciveen and then onto the southern shores of Dingle Bay. The tour continues to Waterville and along the coast via Coomakista Pass and Derrynane and on to Sneem. From Sneem travel up the mountain road to Molls Gap, then via Ladies View before returning once again to Killarney. Each stop and sight more breath-taking than the last! Your lively and engaging guide will impart knowledge of the area and keep you well entertained and informed as you travel! During the tour, you will stop at various places of interest and for photo opportunities, time will be put aside for lunch (at your own expense) and a mid-afternoon stop - (with recommended venues given) Make friends and memories on this mesmerising tour! After an eventful day, you arrive back to your hotel in the early evening, with plenty of time to rest before you pick a dining option – whether in-house or in down-town Killarney. The town itself is known for its lively music scene and offers a vibrant and sparkling nightlife, from heaving pubs, moving in time to the solitary beat of the bodhran to quiet, cosy pubs just perfect for lovers, sophisticated dining options to casual, Killarney has it all! Bid farewell to Kerry as move up towards Clare. Fill up on a hearty breakfast as the Cliffs of Moher and the Burren await you! Travel for just under 3 hours, passing by Ireland’s green fields on your way to what promises to be yet another busy day full of more scenic eye-candy and a sensory overload! The Cliffs of Moher run for some 8 kilometres over the Atlantic Ocean and at their highest point are 214m high. They are home to the largest colony of seabirds in Ireland and are a designated UNESCO site. These majestic cliffs situated on the western precipices of Europe are an arresting sight! Atop the cliff, the panoramic views of the Aran Islands, The Twelve Pins, The Maum Turk Mountains and Loop Head will simply take your breath away. The air is fresh and salty, rejuvenating you after your drive. Snuggle up together against the might of the Atlantic Winds and soak in all the magnificence in front you. Perhaps if you are lucky enough you will glance the fairy-tale land of Tír na nÓg (land of eternal youth) purportedly located in the wilds of the Atlantic, where the mythical lovers Niamh and Oisín once lived! Next drop into the visitor’s centre where you can enjoy some welcoming refreshments before touring their exhibition. After catching your breath and reviving your spirit, it is time to move onto the Burren. This truly unique area of limestone rock covers mountains, valleys and stream, each as awe-inspiring as the last. There is a beautiful contrast between the natural flora and fauna and the ancient man made megalithic tombs, which predate the Roman and even Egyptian civilizations. Before you trek out into the unknown, you can visit the Burren Visitors Centre in nearby Kilfenora, where you’ll get an introduction to the many secrets of the Burren. The Burren Smokehouse is just a ten minute drive down the road from Kilfenora so drop in and sample some of their acclaimed smoked salmon, see the original kiln used at the smokehouse and browse their range of products, which include various crafts and delicacies from the Clare region. While you’re in the area, why not pop into Doolin Cave. Less than ten minutes’ drive up the coast from the Cliffs of Moher you’ll find this fascinating cave, which is home to the longest stalactite in the northern hemisphere, measuring 6.54m (20 feet). After all this excitement, you will be nearing your final stop of the day and an overnight in Gregan's Castle nestled in the very heart of the Burren and enjoying spectacular views of Galway Bay. Cosy and romantic, enjoy a well-deserved sleep in this gorgeous hotel – as tomorrow the wonders of Galway and its environs await you! Leaving the wonderful county of Clare behind, you will be staying in Galway for the next two nights in the stunning Ballynahinch Castle Hotel, located just 2 hours from your current location. This 4* hotel enjoys a most wonderful location in Connemara, overlooked by the Twelve Bens, this isolated castle has romantic getaway down to a tee! Deliciously romantic and intimate, enjoy your 2 nights in this gorgeous hotel! However, for now you are off to explore wonderful Galway city, just an hour away. Galway or the City of the Tribes is an inviting city – full of charm, character and colour. Wander her medieval street-scape, soak up the electric atmosphere of this vivacious city and fall in love with her spirit and style. This lively university town is Ireland’s fourth largest city and enjoys a heady mix of student, local and tourist who all bring their unique elements to the city which in turn gives Galway its energetic and buzzy atmosphere. With a festival of some kind held in the city every other week (or so it seems at least!) make sure to check if there is anything on during your visit! But where to start?! Perhaps with the Galway City Museum located in the heart of the city, overlooking the famous Spanish Arch which dates from 1584 – a landmark within the city. The museum has a number of exhibitions both permanent and touring, dealing with such topics as art and craft, local history and archaeology. The collection currently holds around 1,000 objects and offers an insightful glimpse into Galway’s fascinating history. Next, simply wander her wonderful bustling streets and soak up the atmosphere. With a myriad of shops and markets, pubs, clubs and restaurants, you will never be in want of something to do here. The real joy of Galway is that no visit is the same and that each visitor seems to discover something new and exciting! Between her festivals and markets, her concerts, plays, and exhibitions, Galway is always a delight, fresh and exciting. Let her magic wash over you as she reveals herself and enjoy an enchanting day is this dynamic city. Perhaps as a reminder of you visit, pick up the Irish symbol of love – a Claddagh ring – synonymous with Galway city as it originated in the small fishing village of Claddagh just on its outskirts. A powerful symbol of enduring love – the hands symbolising friendship, the heart love and the crown loyalty – what better way to celebrate your Irish honeymoon than with such a strong symbol of Irish love?! Walk out towards Salthill and along her promenade as you gaze out upon the unrelenting beauty of the Atlantic and make like a local with a 99 – a cone topped with vanilla ice-cream and rounded off with a shard of Irish chocolate! No matter the weather – this is a must! Indulge in some sumptuous sea-fare in any number of Galway’s many restaurants before you wind your way to Ballynahinch for the night. Ard Bia overlooks the Corrib river and is just by Spanish Arch – with an eclectic menu and a atmospheric ambience – try and catch dinner here on one of your nights! Tomorrow, Connemara is beckoning you as this beguiling region, begs you to discover her secrets and treasures. This wondrous region has inspired romantics down through the ages – writers, painters and poets have long been galvanised to immortalise their beloveds – in word, song or painting and you will soon see Connemara has been the source of such creativity! After a restorative slumber in the confines of Ballynahinch Castle, travel 30 minutes to Kylemore Abbey. Beautiful, romantic and windswept this enthralling house dates to 1867 and holds the legacy of an enduring and epic romance, intrigue, tragedy and even a royal connection! Kylemore Abbey is open all year round and welcomes many visitors to the estate every year. Within the grounds you’ll find the Abbey, the Gothic Church, Craft Shop, Pottery Studio, a restaurant and a magnificently restored Victorian Walled Gardens, not to mention a selection of lake and woodland walks. Just perfect for a romantic stroll! Connemara is also home to the Connemara National Park, a vast and scenic area, which covers some 2957 hectares. In the park you’ll find, heaths, woodlands, ancient megalithic court tombs and during the summer - a visitor centre, which hosts an exhibition on the beautiful landscapes of Connemara. Also within the Connemara region, you’ll find the Maam Valley. This picturesque town land lies under the shadow of the Maamturk Mountains and is home to an array of sites with architectural importance and Ireland’s only Fjord – Killary Fjord. Perhaps, if you have time take a cruise of the fjord and soak in the surrounding beauty. With a busy day and lots of fresh air, make your way back to Ballynahinch and settle in for the night. Indulge in some dinner in its Owenmore Restaurant with an ever changing menu to reflect the current season’s or cosy up in its Fisherman’s Pub with cosy log fires. Whichever dining option you choose you can assured of good food and wine all infused with the romance of windswept Connemara! Tomorrow you will be meandering your way back to Ireland’s east and Dublin City for your penulimate day on the Emerald Isle. It may be your last full day in Ireland, but fear not – the pace does not let up and there are still more treasures to discover! Your first stop of the day -Clonmacnoise in County Offaly is just over an hour away. This impressive early Christian site dates from the 6th century and was founded by St. Ciarán, a son of a major craftsman and is located on a remote part of the meandering River Shannon – Ireland’s longest river. It flourished from the 7th to 12th century and was known as a both a centre for learning, piety, politics and craftsmanship. It’s fortunate position both at the an intersection of River Shannon, and lying in between the two great provinces of Meath and Connaught meant that it was ideally situated to gain the patronage and indeed protection of these powerful kingdoms - clearly evident in the fact that they successfully halted both Viking and Normans onslaughts. Sadly, however, it did eventually succumb to an English invasion in 1552 and fell into decline. Today, you can walk through the ruins of the once great a cathedral and seven churches, gaze at the imposing round-towers – (two in total) and admire the intricate skills of the stone-masons who created the striking and towering high crosses. If you happen to be passing through on September 9th St. Ciarán’s feast day – you should (as per tradition) walk around the site three times! The site has an excellent visitor-centre housed in three buildings including a timeline for the site, with the original crosses and several grave-slabs on display inside to protect them from the elements. Excellent copies are instead located in their original locations around the site. An audio-visual is definitely worth a look and an on-site café will provide you with subsistence for your next part of your journey! Kilbeggan in County Westmeath is the home ofKilbeggan Whiskeyand also your next stop – just 40 minutes away. Whiskey first came to Ireland with a band of French monks in the 6th century, and while the French may have given it to us – we have certainly perfected it and made it our own! Learn all about the history of whiskey in Ireland, the processes involved in its production and if you are lucky enough, you may be able to indulge in a little sample! The Kilbeggan Distillery is the oldest licensed whiskey distillery in the world, dating from 1757 and it’s tumultuous history is both lively and entertaining. The distillery has its own restaurant The Pantry, so you can enjoy a coffee there before heading onto Dublin just over an hour away. Arriving back in capital, you have will have seen all the very best that Ireland has to offer. Perhaps there are some attractions you would still like to visit or last minute souvenirs to buy. Or simply you are just craving to wander the streets of this wonderful city. Enjoy your last night in Dublin and indeed Ireland as you prepare for your visit home, make sure to pack everything including all of those sensational honeymoon memories! We hope that you and your special loved one have created memories of a lifetime on your Emerald Isle Honeymoon! Our wish for you as you depart her shores is simple - that the beauty, magic, and sparkle of Ireland will imbue your marriage and ensure that the love you felt for each other on your wedding day remains as strong and as steadfast all the days of your new life together. And that as part of your story, Ireland’s story will echo in yours– her strength and romance, faith and hope, will inspire you for years to come…. and of course draw you back to her again and again to create even more wonderful memories together.